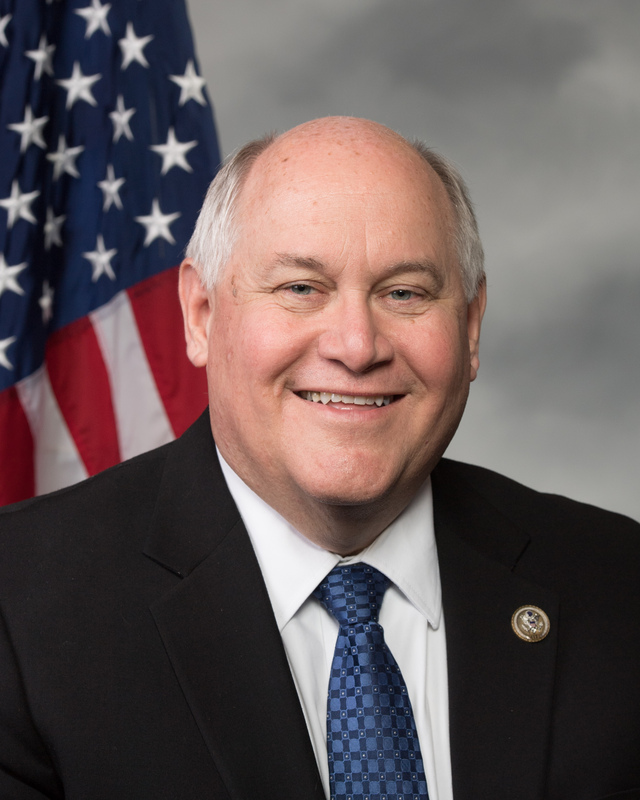 Ron Estes (pronounced ESS-tiss) is a 5th generation Kansan and serves Kansas’ 4th Congressional District in the U.S. House of Representatives. Since being sworn into office on April 25, 2017, Congressman Estes has been a leader on passing landmark tax reform, rolling back burdensome regulations, reforming our immigration system and finding solutions to affordable health care for Kansans. In Congress, Rep. Estes has also defended Wichita’s aviation industry, helped pass a five-year Farm Bill to support Kansas agriculture, protected the Fourth District’s water supply and quality of life, and led efforts to secure new pro-life guidelines for the Title X Family Planning Program. The son of a veteran, Rep. Estes has also prioritized supporting our military and military families, while helping veterans and constituents navigate government agencies like the VA, Social Security Administration, the IRS and others. Prior to becoming an elected official, Rep. Estes grew up on his family farm in Kansas and went on to earn a degree in civil engineering and a graduate degree in business administration. Rep. Estes began his career in consulting and management roles for industries including aerospace, energy and manufacturing. An engineer by trade, he successfully implemented a variety of systems that streamlined operations, increased efficiency and improved customer relations – all while cutting cost. That experience in the private sector has helped position Rep. Estes as a committed advocate for Kansas taxpayers in the U.S. House of Representatives. Following his private sector career, Rep. Estes served his fellow Kansans as Sedgwick County (Kansas) Treasurer and then Kansas State Treasurer. As the only former state treasurer serving in the House and a member of the Committee on Ways and Means, Rep. Estes remains a champion of lower taxes, free and fair trade, and affordable health care. Congressman Estes' committee assignments can be found HERE.